Multiple K-12 Michigan teachers are transforming their community and school culture by leveraging Code.org resources. Across the state of Michigan, these teachers are committed to teach middle and high school computer science courses. Throughout all levels of the professional learning series, teachers are integrated within a community, transforming school culture, and collaborating across school districts. Over 200 teachers attend a Michigan Code.org 5-day Summer (2018) workshop. News story from ABC 57 News about a Michigan CS Discoveries class. The CS Principles, CS Discoveries, and CS Fundamentals workshops are open to educators who are interested in teaching the Code.org courses. There is no prior computer science experience required to attend the workshops. These workshops provide a comprehensive curriculum that is accessible to all teachers at little to no cost to districts. 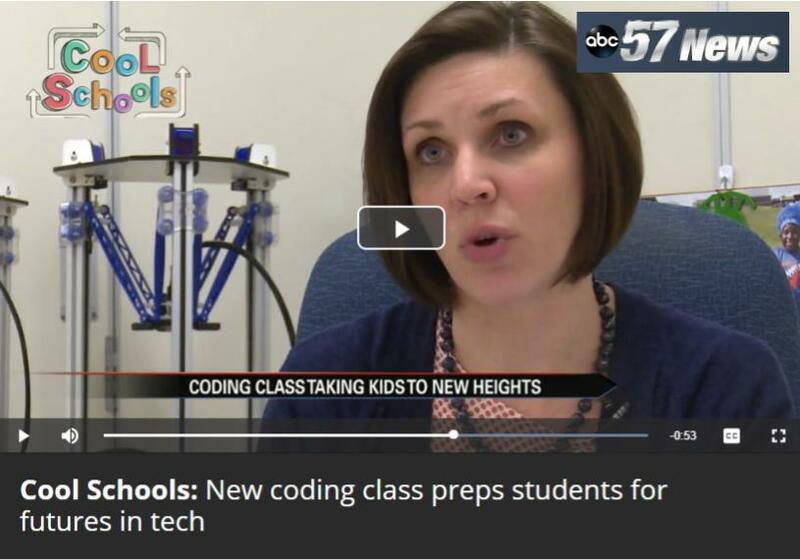 ​Check out the impact that CS Discoveries had at Edwardsburg Middle School in this news story. Click here to visit the ABC 57 News website.